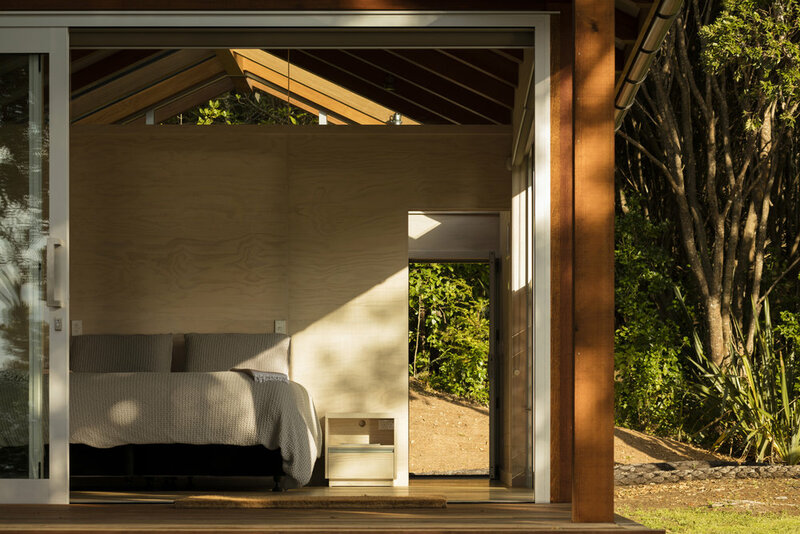 These two seaside cabins are cut into the hillside twenty meters from a small intimate beach in the Bay of Islands. 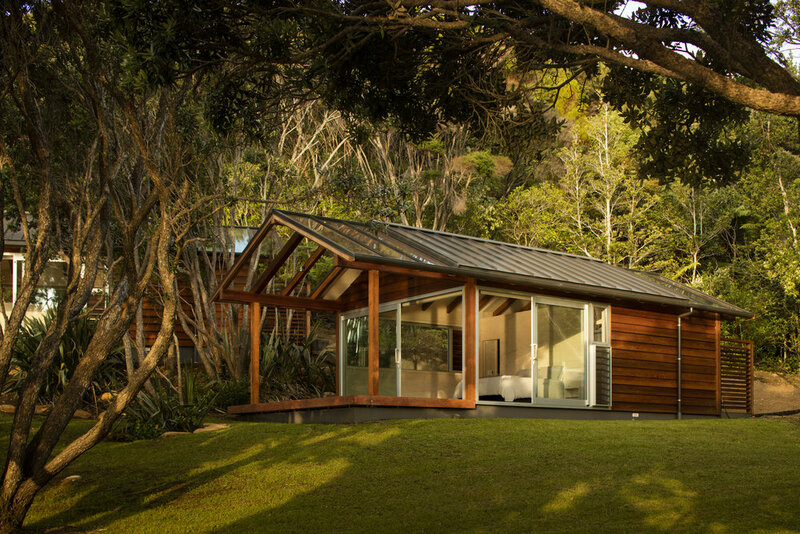 They are sited facing northwest, concealed and immersed within the native bush of the terrain. 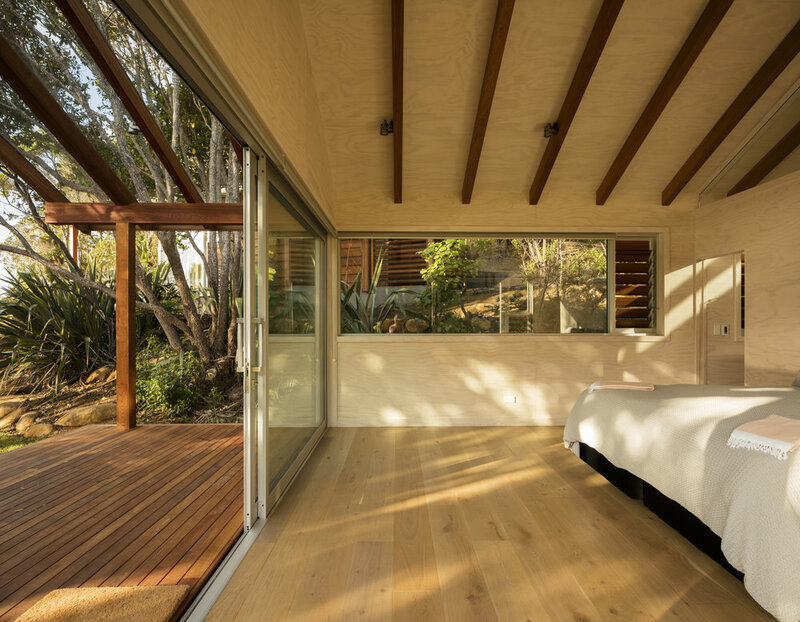 The buildings are generous without being extravagant in area, and a large proportion of their footprint is covered by a glazed veranda. 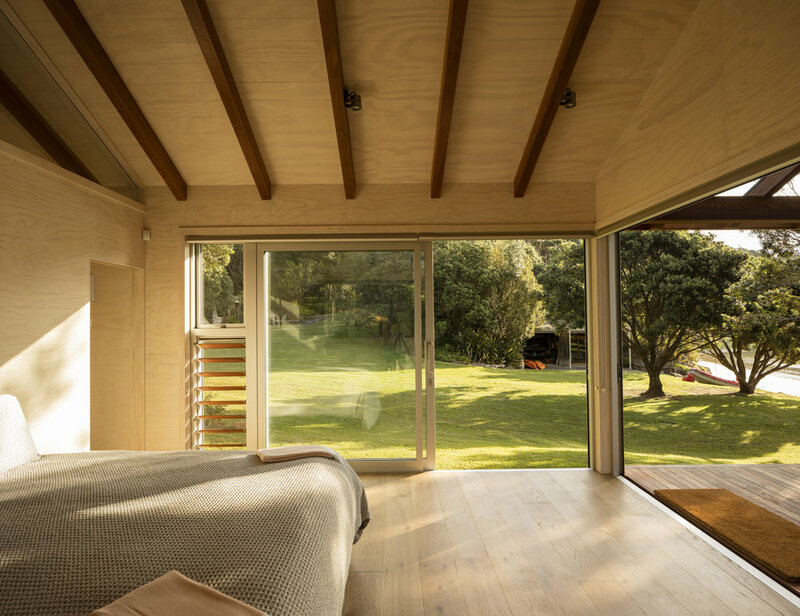 The small cabins are identical and positioned to take advantage of the view to the immediate shoreline below while located in elevation to one another so as to incorporate visual privacy. The plan is largely symmetrical with a part height wall division between the bedroom and bathroom/wardrobe. 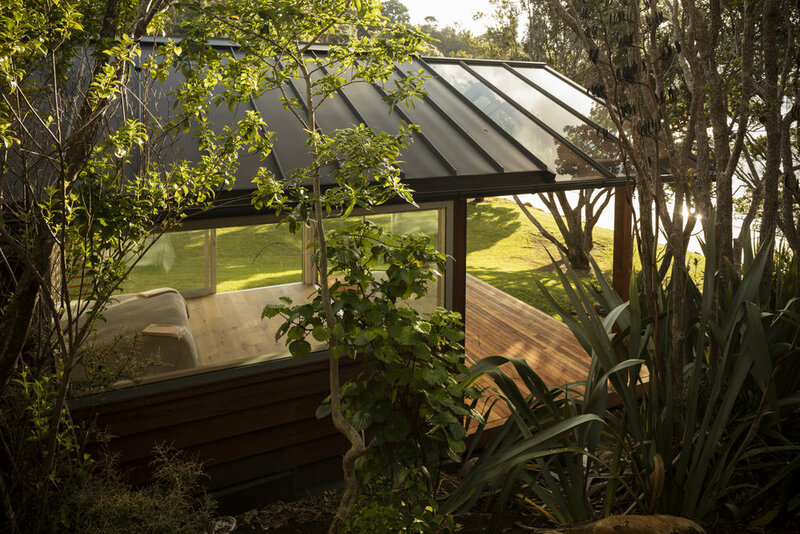 Rafters support a glass roof to the front and continue through the interior section, to the re-emerging glass roof above the bathroom and rear entry. 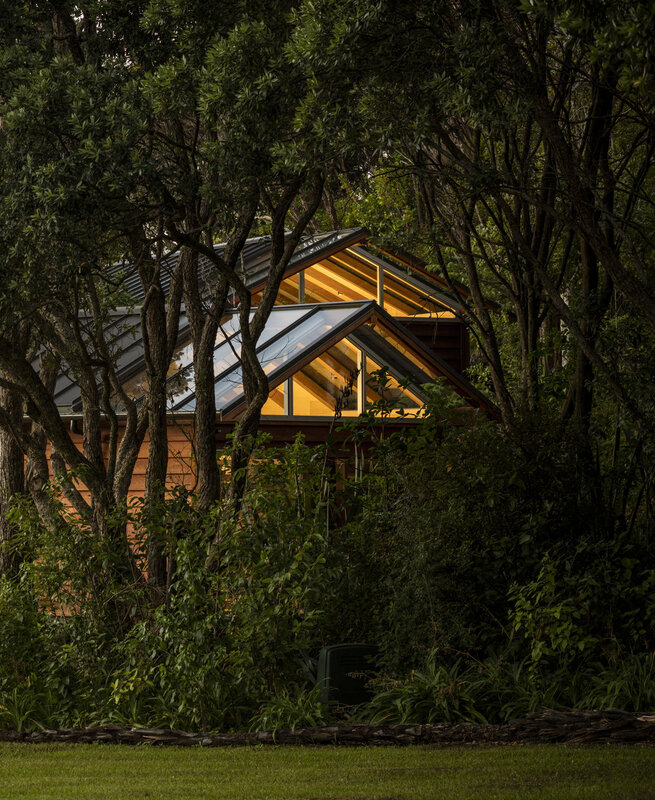 The roof glazing enables a lightness and connection to the bush above and around.